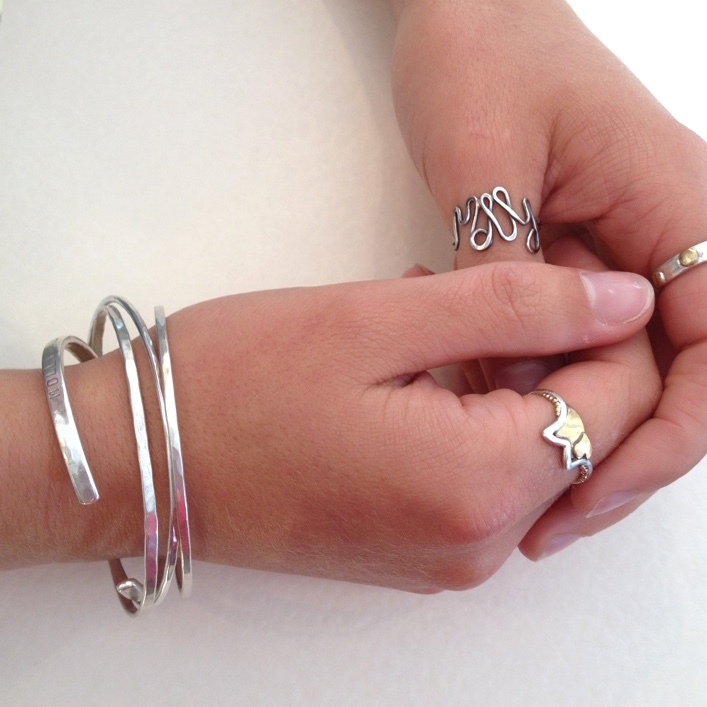 We couldn’t resist taking this pic of our regular customer when she popped in the other day, sporting many of her Honeybourne Jewellery creations!. 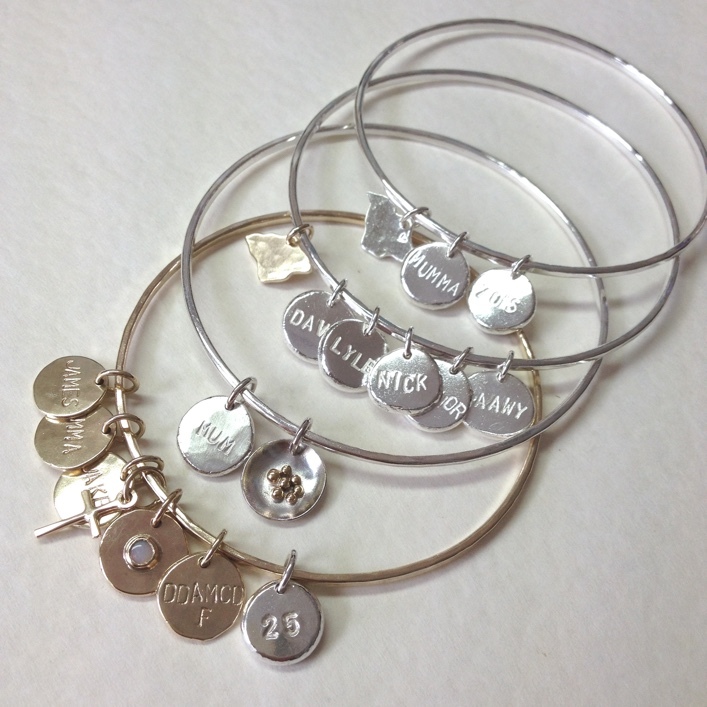 Pieces of Eight, Birthstones, IOW’s and lots of other personalised pieces!. 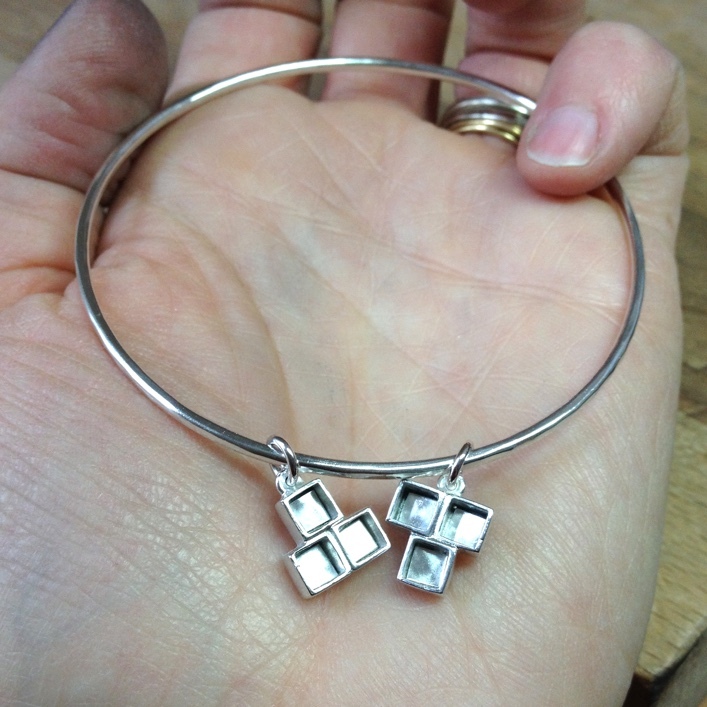 This piece was made for a 60th birthday gift, each of the six squares represents her birthday. 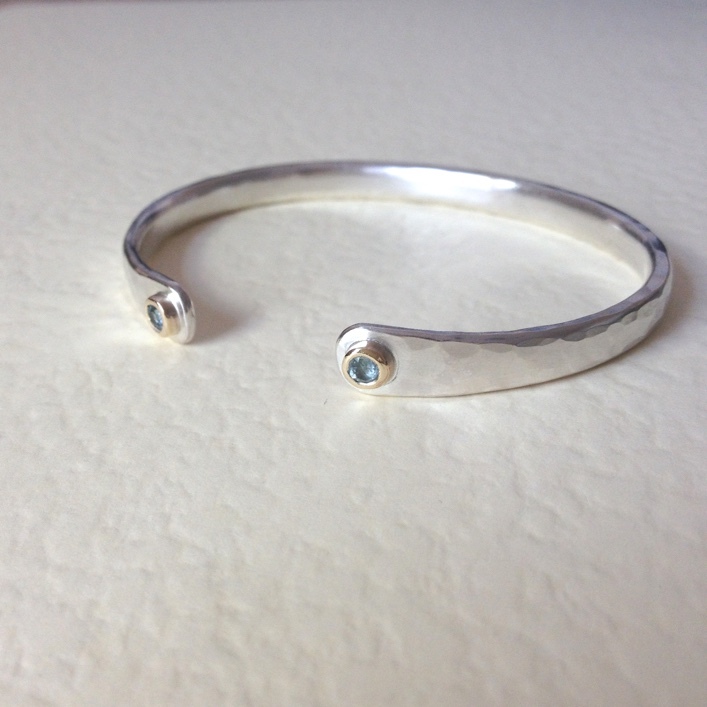 Solid silver torc bangle with hammered texture, set with the customer’s Aquamarine birthstones.